Heat oil in a large frying pan over medium heat. Cook meatballs, turning, for 5 to 7 minutes, or until cooked through. Combine cherry tomatoes, chili, capsicum and lime juice to create a colourful tomato salsa. 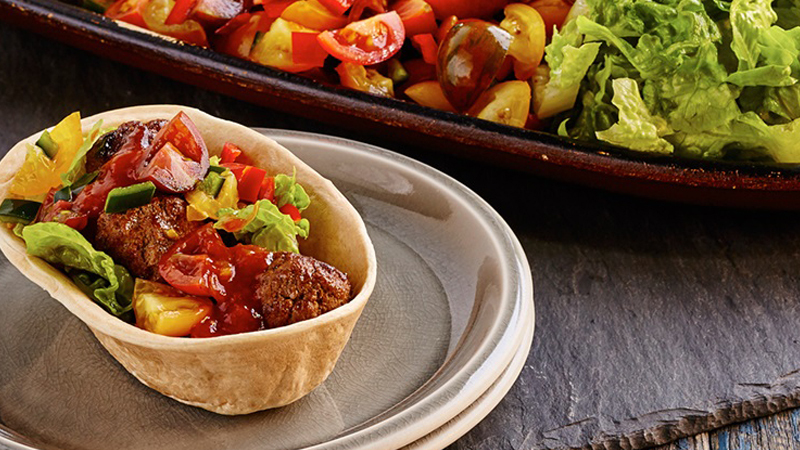 Build your soft tacos with meatballs, tomato salsa, lettuce sour cream and Taco Salsa.